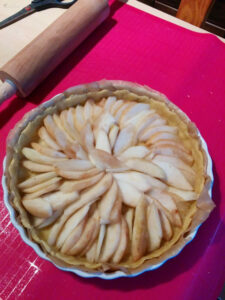 First entry of this blog, a sweet salty tart recipe. 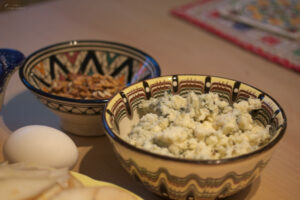 Pears and blue cheese “Roquefort” are going so well together. mins before to make it smoother. Cut it into small cube of 1cm. 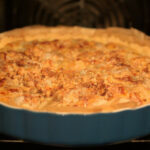 Put the flour, the water, the egg and the salt in a large bowl and start to mix with a spoon. Then incorporate the butter cubes with your fingers one by one and knead the dough. Continue until you get a ho mogeneous paste. Then make a ball out of it, wrap it in stretch film and let it cool in the fridge for about 1 hour. 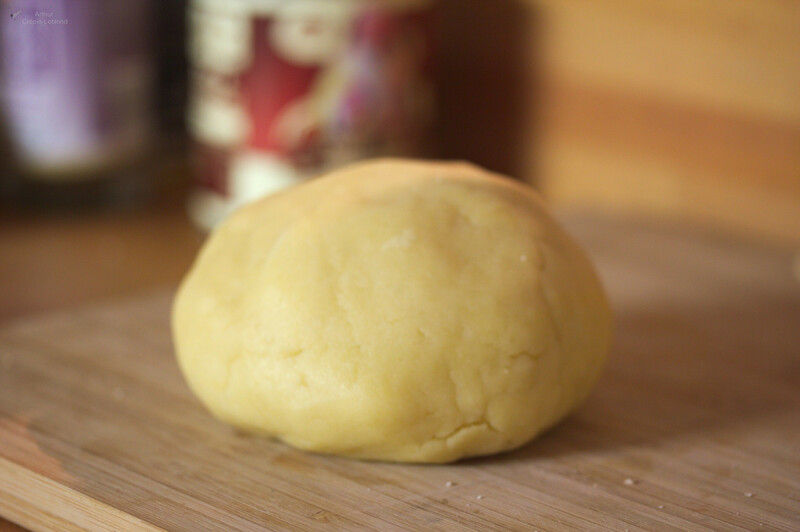 Stretch the dough using a rolling pin (or your hands) in order to get a 2-3mm thickness. 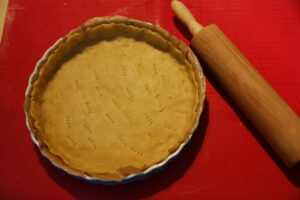 Pierce the dough with a fork so that the bottom part won’t inflate too much while baking. Turn on your oven at 200°C (Thermostat 7). Peal the pears and cut them into half a centimetre vertical thick slices. Don’t forget to remove the cores. 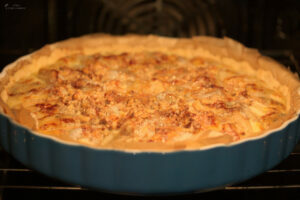 Place them on the dough one by one, one above the other in circle starting from the outer until the centre of the plate. Spread the crushed nuts all around the plate together with the Roquefort in crumbles. In a small bowl, beat the eggs and mix them with the crème fraîche and the pepper. Once you get a homogeneous liquid, spread it on the tart, you’ll probably need to swing the plate to spread equally the liquid. Sprinkle some nutmeg powder (don’t forget that too much is dangerous for your health !). 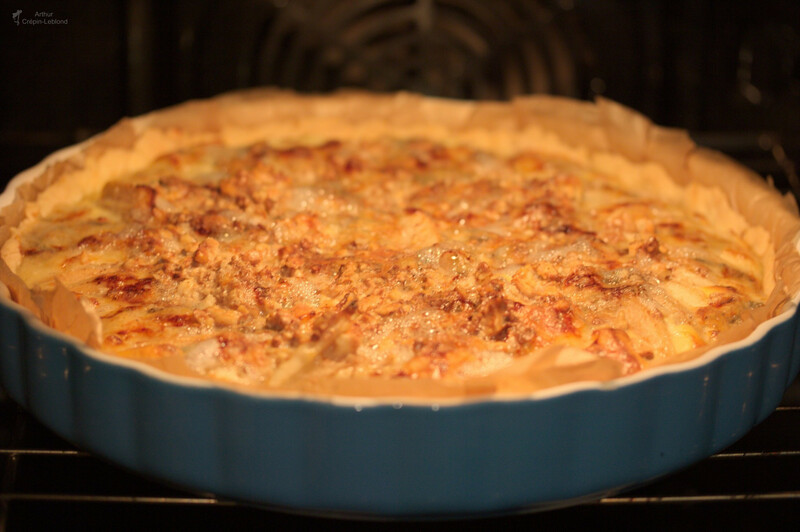 Finally put the plate in the oven at 175°C (Thermostat 6) for 30-40 mins.